This property is 3 minutes walk from the beach. Overlooking Tumon Bay, The Bayview Hotel offers rooms with a private balcony and lovely bay and city views. It features an outdoor pool, a fitness centre and a restaurant. Free in-room WiFi is included. 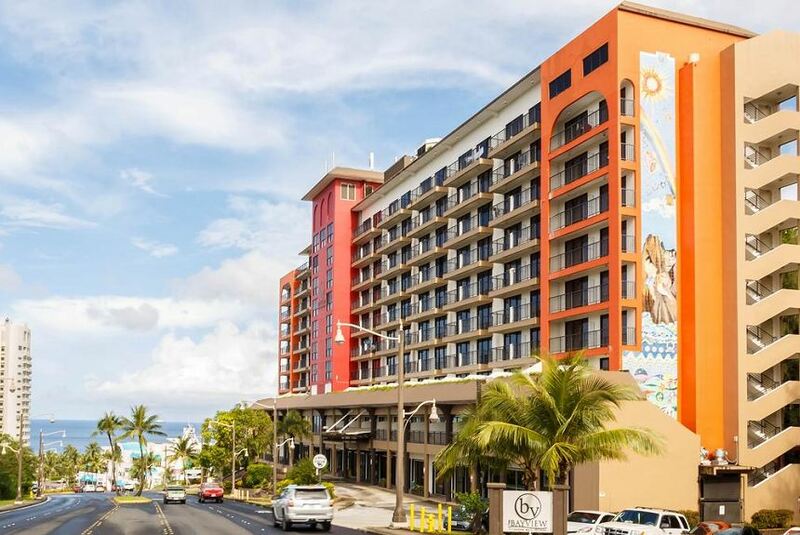 The Bayview Hotel Guam is 3 minutes’ walk from Tumon Beach, and 5 minutes’ drive from Tumon Golf Driving Range. A B Won Pat International Airport is a 10-minute drive away. All air-conditioned rooms have a flat-screen TV with CTi channels, a refrigerator and a tea and coffee maker. Each room has a bathroom with a hairdryer and free toiletries, including a complimentary toothbrush and toothpaste. Slippers are available on request. Guests can arrange day trips at the tour desk, or relax on the sunny terrace. The hotel also offers a 24-hour front desk with multilingual staff.